For almost two decades, poet/publisher Guy Bennett has been consistently producing fascinating and thoughtful experimental collections on his two chapbook presses, Mindmade Books and Seeing Eye – 77 titles to date. Formalist, searching, multilingual – it's a brilliant catalog with a clear point of view. 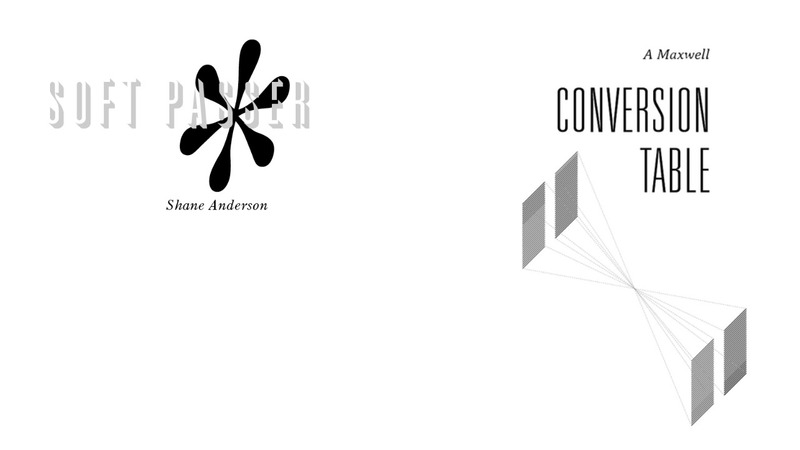 This Friday night brings two of its recently published authors together for a reading: Shane Anderson, from Berlin, whose Soft Passer was brought out by Mindmade in 2015, and A Maxwell, from the PRB, whose Conversion Table was just issued this month. 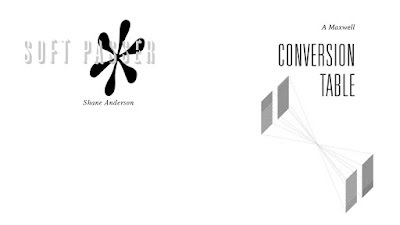 Shane Anderson is the author of Soft Passer (Mindmade Books) and Études des Gottnarrenmaschinen (Broken Dimanche Press). 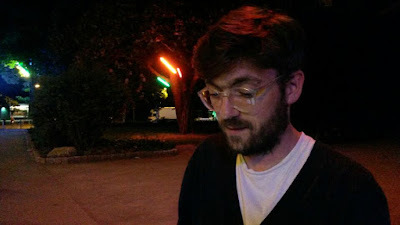 His poems and translations can be found in 6x6, Asymptote, Edit, Triple Canopy, Natalie Czech's Il Pleut series and Mathew Barney's River of Fundament (Skira Rizzoli). He lives in Berlin where he curates the reading series HERE! HERE! THERE! Andrew Maxwell's recent books include Candor is the Brightest Shield (Ugly Duckling, 2015) and Peeping Mot (Apogee, 2013). Conversion Table, a small collection of remarks without propositional attitudes, was issued this September on Mindmade Books. In LA, he runs the Poetic Research Bureau with Joseph Mosconi, and hosts a weekly radio show of international roots music on KXLU, The Dream of Harry Lime. Doors open @ 7:30pm, reading at 8 sharp.